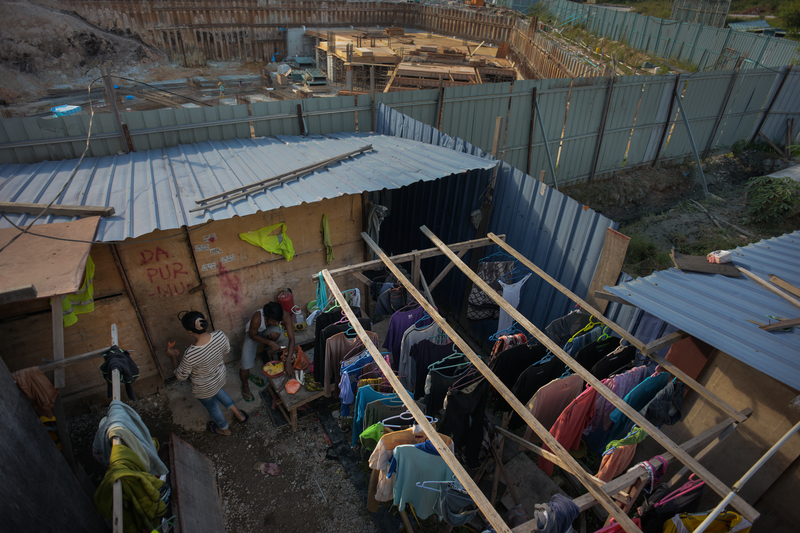 Every construction site in Malaysia has a kongsi, or makeshift workers’ dorms. 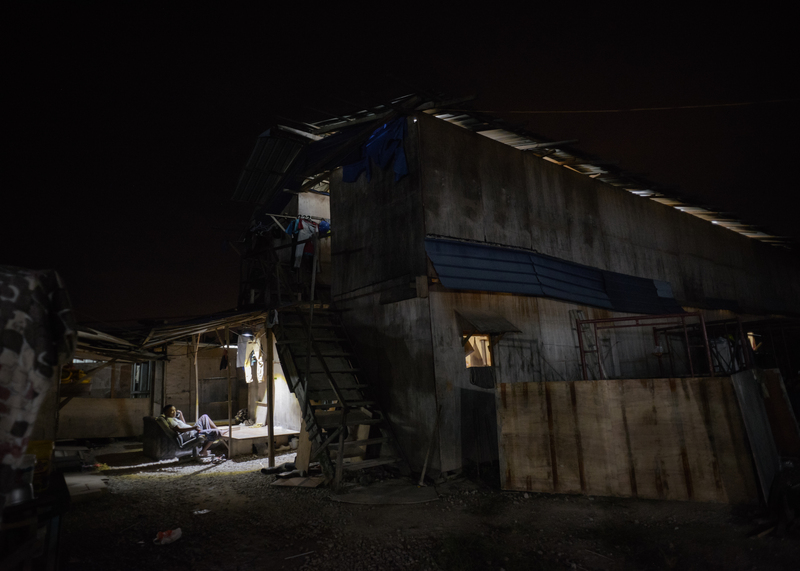 These dorms are usually shacks assembled from plywood and zinc sheets, but often look more like stacks of discarded construction material. But security for these tilting, creaking rooms, can be unusually tight. Tall zinc fences keep the conditions out of sight, and guarded gates refuse entry to non-workers. 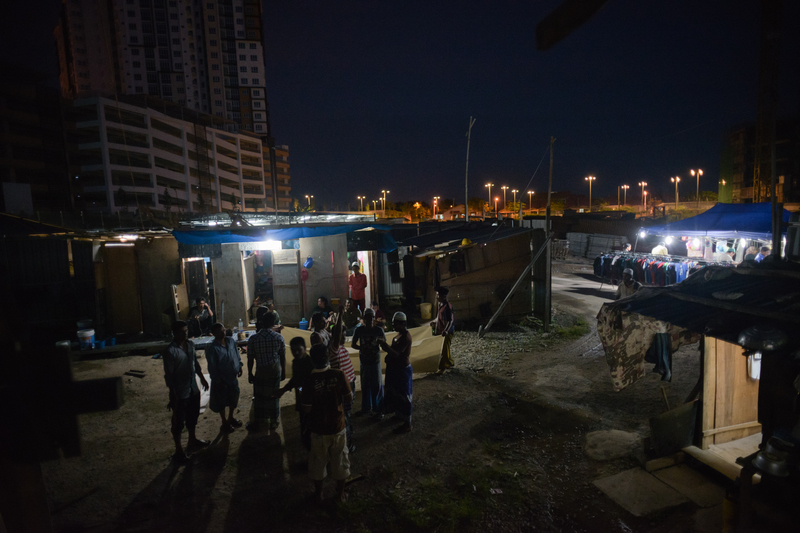 With the help of our friends at Migrant88, R.AGE spent two nights breaking fast with the workers. At the end of their shifts, construction workers are always famished. It’s hard labour, building homes and offices and malls. Since most workers are on minimum wage, they prefer to prepare their own meals. Communal cooking equals cheaper meals. 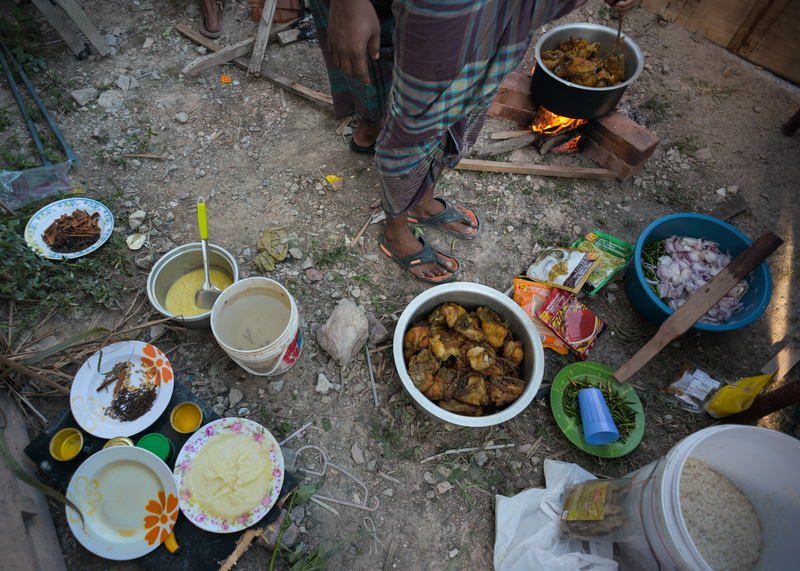 At this kongsi, ten of the workers cook for around 50 Bangladeshi workers every day. Pictured here are four of the ten. To handle the industrial quantities, they’ve fashioned an outdoor kitchen with leftover plywood and scaffolding, and fuelled it with scrap wood. On the menu today – rice polao and curry chicken. Before breaking fast, they wash away the day’s dust. Just like cooking, bathing in a kongsi is communal. Every kongsi has a giant open-air bath where everyone washes. Some use buckets, some use helmets. The younger workers loiter together, smoking, singing, joking. 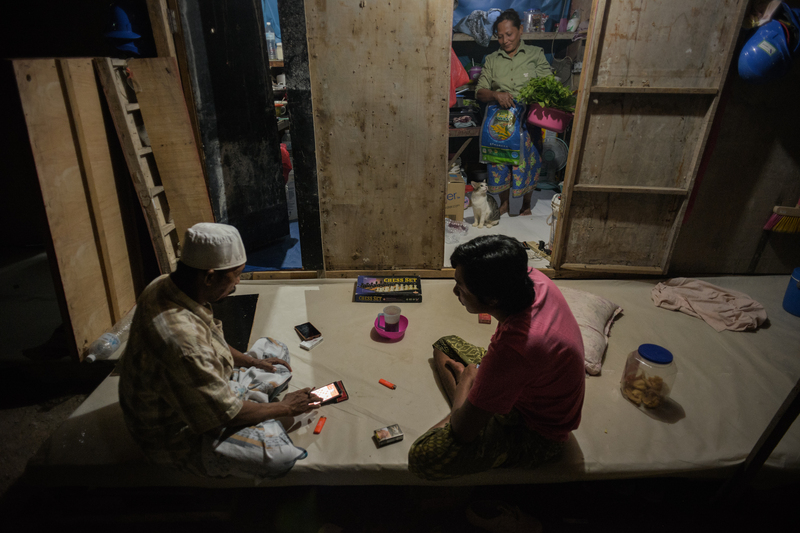 “For me now, the most important thing is to find a wife,” says Arif, 18, from Madura, Indonesia. “Then I wouldn’t be bored as I can joke with her, chat with her.” Can’t you joke and chat with your friends here? “That’s boring. It’s different with a woman.” Arif has been working in Malaysia since he was 15. Food is served. Strips of plastic, also salvaged from the construction site, is laid out as floor mats. Here, an Indonesian worker asks for a taste of Bangladeshi curry. Mixing air sirap in a paint bucket, enough to serve a hundred. Many of the workers admit that they don’t fast. The work is physically too taxing. But still they ate as if it was their first meal in weeks. Hard work builds a good appetite. After meals, most workers retire to their mobile phones. Almost every worker has one. They use it to keep in touch with their families, and for entertainment. Two or three workers share each room. 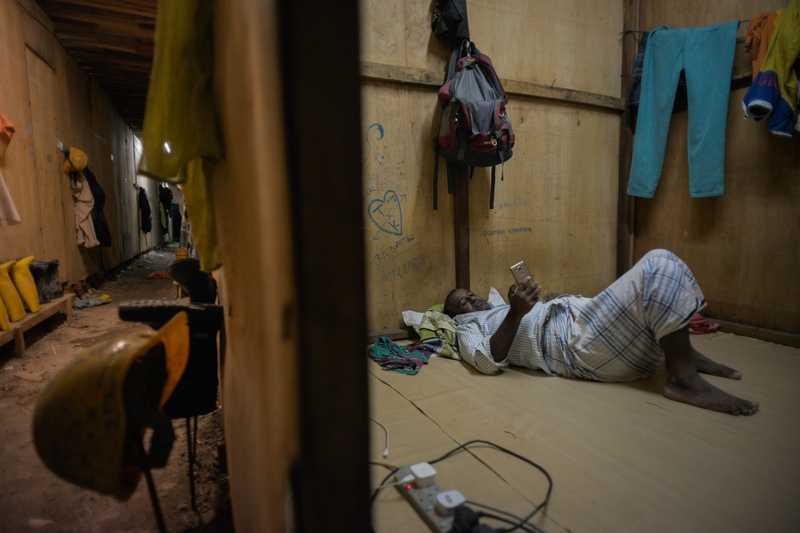 No bedding is provided, so workers sleep on the floor. In the daytime, the heat in the rooms can be so unbearable that the first thing workers buy when they move into a kongsi is a table fan. Most workers sleep early, once they have made preparations for the next day’s meals. Some, like the worker pictured here, take advantage of the relative quiet later at night to make a phone call home. This will be his seventh Hari Raya away from his family. Thanks for this piece, it’s beautiful and super meaningful. Thank you for sharing the insights of our migrant workers. It’s an eye opener. Without them we will have to pay high wages for our locals to do the work for a fraction of what these migrants are paid. It is back breaking work. It is unfortunate that some members of our society abuse and take advantage of them. This has become a norm life for them having lived in this condition for many years. I seriously doubt they dare to report of wages not paid or abused since most are undocumented for fear of getting deported. It is sad but life is most difficult when we don’t walk a mile in their shoes. I give you journalists kudos for going into their camps and bringing the news, photos into our home for those who are not aware or maybe they play ignorant…? ?